One of the most important questions our customers always ask us is, “Do I have to worry about Salmonella and parasites when feeding my feline a homemade raw meat food diet?” Answer: No you don´t. Watch this video by Dr. Becker explaining it. 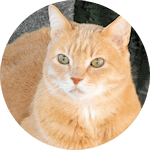 Feline Instincts’ strong commitment to the continuous species appropriate feline diet and holistic health studies are dedicated to our beloved Bali, Lady Natascha, King Tut & King Ramses, who will remain in our hearts forever. Your felines’ future health is very important. 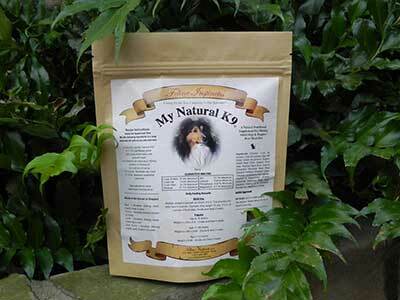 Looking at feline premix products and natural cat food brands similar to ours? Why pay more for other premixes and get less in your product? 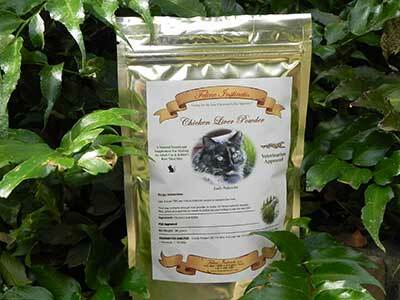 Read the labels and see what they offer in their powdered premixes. Our feline powdered premix products have more whole body support with natural and organic ingredients than any other and priced very fair. Click Here for our Ingredients List. All felines, domestic and wild, were born to eat a raw meat diet. Their naturally short and acidic digestive systems are meant to digest raw meat – Felines literally thrive on the raw enzymes provided only when the meat is raw. A homemade raw meat cat food diet will help to maintain the pH acidic environment necessary for their digestion and absorption of calcium. The acidic environment stimulates the pancreas to reduce digestive enzymes; this maintains pancreatic health and prevents atrophy of this important organ. The strong digestive secretions allow very few parasites to get past the stomach. It is important to note that commercial pet foods, which are cereal-based or not, do not nurture a naturally pH acidic stomach environment like a raw meat diet for cats; because of this, Feline Diabetes, Feline Urinary problems (FUS) and Feline Irritable Bowel Disease (IBD) normally disappear when fed a raw meat diet. 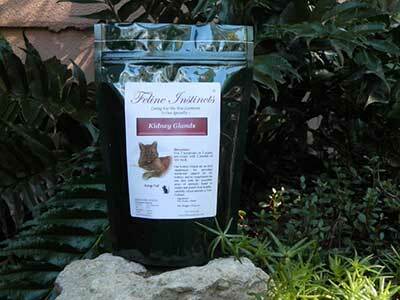 Alkaline diets disturb a felines digestive and urinary balance. In some cases a raw meat cat food has even helped to put feline cancer in remission in combination with holistic veterinarian remedies. 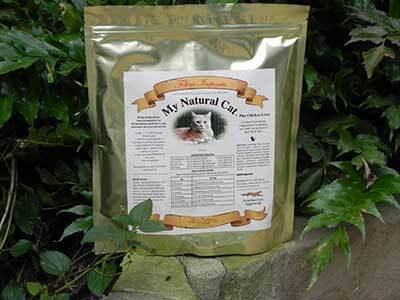 Felines have a naturally pH acidic system. Cooked foods or commercial pet foods will not keep the cat healthy long because commercial dry and canned foods eventually weaken their immune system. 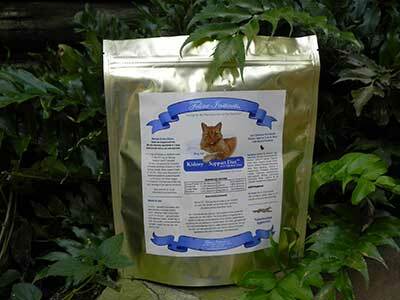 Your feline’s immune system has the ability to resist and recover from disease and injury. It regulates production of antibodies that aid in the destruction of bacteria and viruses. 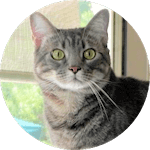 By feeding your feline a balanced homemade raw meat cat food diet, supplemented with one of our premixes you can help keep your cat’s immune system strong. Feline Instincts´ cats are not vaccinated , are treated homoeopathically and when fed a homemade raw meat cat food diet they showed solid health improvements in just a few weeks. We marveled at the way our cat’s gained increased vitality and how their coats went from dry and oily to silky and shiny.